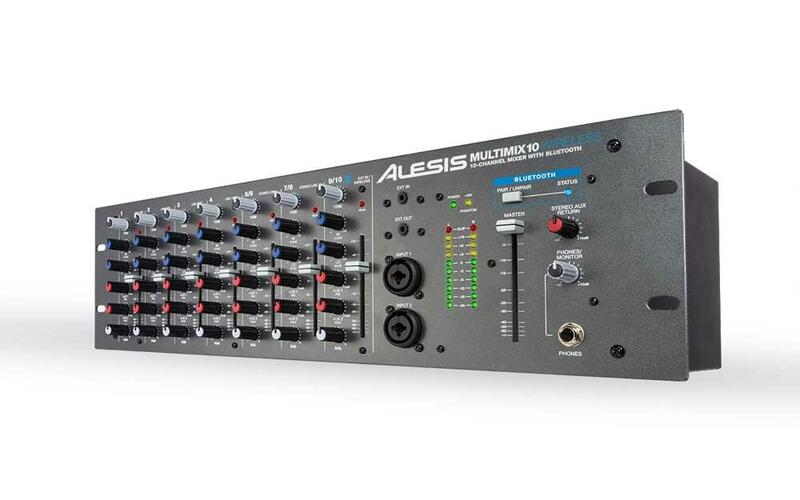 The Alesis MultiMix 10 Wireless is redefining the rackmount mixer category. Compact and complete, the MultiMix 10 Wireless delivers ten-channel mixing in a neat 3U package that is perfect for smaller clubs and venues, houses of worship, as well as mobile/traveling systems. 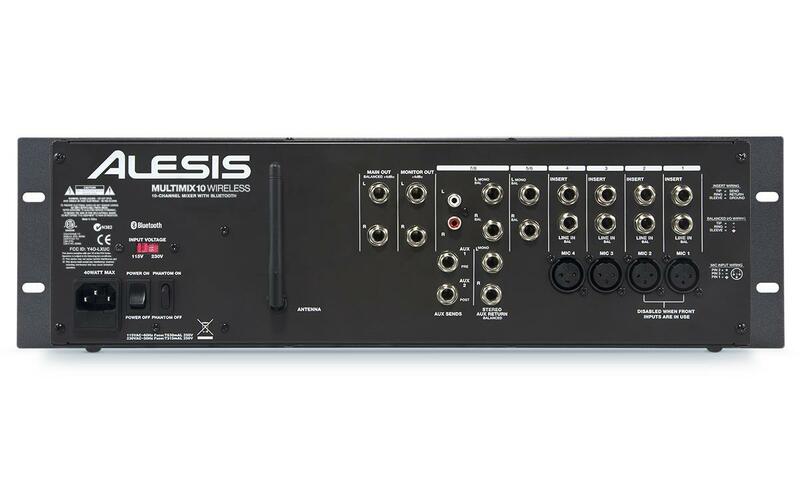 The MultiMix 10 Wireless benefits from an arrayThe Alesis MultiMix 10 Wireless is redefining the rackmount mixer category. Compact and complete, the MultiMix 10 Wireless delivers ten-channel mixing in a neat 3U package that is perfect for smaller clubs and venues, houses of worship, as well as mobile/traveling systems. The MultiMix 10 Wireless benefits from an array of easily accessible front panel jacks that enhance the versatility and usefulness of this generously equipped mixer. Topping off the feature list is a channel dedicated to receiving the stereo playback from any Bluetooth device. The MultiMix 10 Wireless is a new breed of rackmount mixer. of easily accessible front panel jacks that enhance the versatility and usefulness of this generously equipped mixer. Topping off the feature list is a channel dedicated to receiving the stereo playback from any Bluetooth device. The MultiMix 10 Wireless is a new breed of rackmount mixer.